Jason Kunowski was born on April 1, 1983. He is an Associate Attorney with Ramsell & Associates. He grew up in DuPage County. 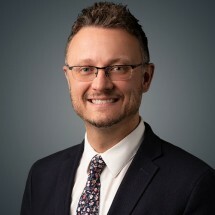 Jason received his undergraduate education at the University of Wisconsin-Madison and went to law school at Northern Illinois University College of Law. While in law school, Jason was a 711 Intern with the DuPage County State's Attorney's Office. Jason has over 6 years experience practicing law. After exploring other practice areas, Jason returned to his passion of Criminal Defense with Ramsell & Associates. In 2010, Jason was licensed by the Illinois Supreme Court and U.S. Federal District Court for the Northern District of Illinois. He also speaks Spanish. Jason enjoys working out, spending time with his girlfriend and their dog, the Cubs, the English Premier League and stand up comedy.